Less than one in three customers now trust their bank or insurer, according to a 2014 research by PwC Financial. Banks are not only suffering from deep consumer mistrust, but they are also seen as stuffy, slow-moving relics of the pre-digital era. Antony Bream, UK managing director at Crealogix, argues that all that can be changed simply by infusing personality behind a bank’s brand. Indeed, Apple is almost known entirely for its brand personality attributes — innovative, stylish, intuitive, cool, casual, easy-going and friendly. People personify things. That’s what we do. We personify pets, cars and boats all the time. We assign human-like attributes to essentially anything with a name — people, places, things, and even products and companies. We rely most often on the one analogy we understand best: what it means to be human. Similar to the aspects of our lives as we progress from infancy to adulthood, a brand goes through an ongoing discovery of ability and identity. It begins at a single point in time, and it grows and matures, then finally it develops a means of expressing itself to its audience. A brand is not just an entity, it is something for people to connect to and have a relationship with. Barclays has gone one step further to help its less internet-savvy customers get online and become digitally active. Since launching the Digital Eagles programme, the bank has been adding a human touch to convey its message. Its YouTube channel features an over-50’s “Walking Football” league that wanted to learn how to promote their group online, as well as senior citizens Kent and Val learning how to Skype, which have attracted thousands of views. In an attempt to appeal to a younger, more digitally savvy audience, Nationwide teamed up with YouTube in February 2015 and launched an online hub, Money Stuff, to promote its FlexOne current account for under-18s. These two are great examples of thinking beyond a “one-size-fits-all” strategy and banks who have successfully catered to the lifestyle needs of their customers. Banks should stop trying too hard to be “cool”. Instead, what customers really want is for their bank to be the best bank, and to be in touch with what they need. Living in the digital era, providing a quality customer experience online makes all the difference. A personalised experience also means letting customers configure their preferences as much as possible, such as choosing if and when they want to receive mobile alerts, on whichever device and operating system. Today the most powerful way to create and engage a vibrant community is with game mechanics. 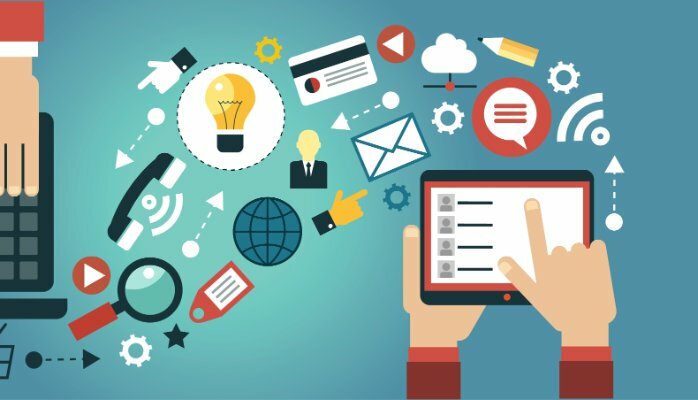 By leveraging points, levels, badges, challenges, rewards and leaderboards – innovative start-ups like Foursquare and Gilt, and even established brands like United Airlines and Nike are dramatically lowering their customer acquisition costs, increasing engagement and building sustainable, viral communities. Gamification is revolutionising the web and mobile apps, and it can be used to make the process of banking more fun and engaging to drive specific consumer behaviours, like increasing savings or making prompt payment on loans and credit cards. Barclaycard Ring customers are rewarded with status for participating in the community by suggesting and voting on ideas for how the card product will evolve – a process of inviting its customers to co-create its credit card products. Games can also be used to improve financial literacy, build better money habits, and even unearth hidden money behaviours. And the goal of game dynamics is to drive a user-desired behaviour predictably. It is not just the millennials that we need to think about today; Baby-boomers are becoming more technologically savvy than many of us ever thought we would see. It is time to take a step back, think beyond the current products and services, and position your bank as a relevant institution that reaches consumers where and how they live.